Cloth diapering has it's ups and downs and for whatever reasons we all seem to have experienced funky diaper odor at one point or another. One thing I never thought I'd try, because it was such an old school method, was the wet pail method for storing your dirty diapers until laundry day. Now, one thing you should know is that over soaking your cloth diapers is not recommended by most manufacturers, but rinsing your diapers to remove debris and urine is, and that's pretty much how the wet pail worked for me. I washed ever day or day and a half due to having two in diapers. Here's how I used my wet pail. I had a kitchen size garbage can in my laundry room, (maybe a little smaller than kitchen size) away from the kids, basically in my garage next to the washer and dryer. I'd take my soiled diapers to the pail, after removing as much waste as possible into the toilet, and put them in the bottom of the pail. Then I'd use my ultility sink to get a gallon or two of super hot water to add to the pail, just enough to cover the diapers that were in there. 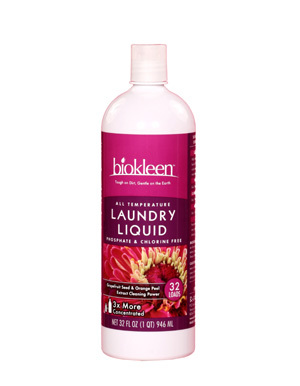 Along with the hot water I'd add an ounce of Biokleen Laundry Liquid and/or spray the diapers with a little Bac Out before placing in the pail. Every time I'd add a couple more diapers I would add more fresh hot water. Like a witch stirring her brew, I had a broom handle that I used to push the diapers down and agitate them a bit each time. When I had enough to start a load of laundry I would then, very carefully, pour the pail and diapers into the washing machine and run a rinse cycle. After the rinse cycle I'd add more Biokleen Laundry Liquid and wash normally. Yes, wetpails can be gross. Yes, it can be heavy to lift. 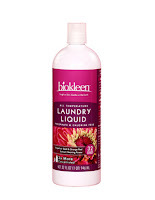 But I found that letting my diapers soak, constantly adding the fresh hot water, and the combination of the Biokleen products were the only things that cured the funky ammonia odor that the diapers seemed to so easily get. What are your thoughts on the wetpail? Have you tried it?